(Newser) – The FBI failed to notify scores of US officials that Russian hackers were trying to break into their Gmail accounts despite having evidence for at least a year that the targets were in the Kremlin's crosshairs, the AP has found. Nearly 80 interviews with Americans targeted by Fancy Bear, a Russian government-aligned cyberespionage group, turned up only two cases in which the FBI had provided a heads-up. Even senior policymakers discovered they were targets only when the AP told them, a situation some described as bizarre and dispiriting. "It's utterly confounding," said a former senior director at the National Security Council, who was notified by the AP that he was targeted in 2015. "You've got to tell your people. You've got to protect your people." The FBI declined most questions, saying in a statement that, "the FBI routinely notifies individuals and organizations of potential threat information." Three people familiar with the matter said the FBI has known for more than a year the details of Fancy Bear's attempts to break into Gmail. 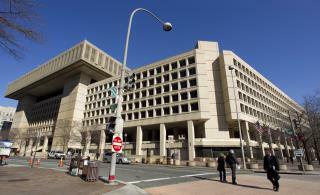 A senior FBI official said that the bureau was overwhelmed by the sheer number of attempted hacks. "It's a matter of triaging to the best of our ability the volume of the targets who are out there," he said. The AP did its own triage, dedicating two months and a small team of reporters to go through a hit list of 19,000 Fancy Bear targets. The AP identified more than 500 US-based people or groups and reached out to more than 190 of them, interviewing nearly 80 about their experiences. About one-quarter were still in government or held security clearances at the time they were targeted. Only two learned of the hacking attempts on their Gmail accounts from the FBI. A few more were contacted by the FBI after their emails were published in the torrent of leaks that coursed through last year's electoral contest. Click for the full investigation here. Next on Newser: Where There's Smoke, There's ... Pregnant Women? The FBI is responsible for protecting us collectively more than individually. Same government that Democrats believe needs to run our healthcare system. God help us.